Nafplion (Greek: Ναύπλιον) or Nafplio and Anapli (Greek: Ανάπλι) in modern Greek is a town in the Argolic Gulf, in northeast Peloponnese. It has 14,203 inhabitants (as of 2011) and it is the capital of the prefecture of Argolis. According to the ancient Greek Mythology, the town of Nafplio was founded by Nafplios (or Nauplius), the son of Poseidon and the Danaid Amymone. Nafplio was the second capital of the State of Independent Greece, during the years 1829–1833, after Aegina (1828–1829). In 1834, Athens was made permanent capital of Greece. 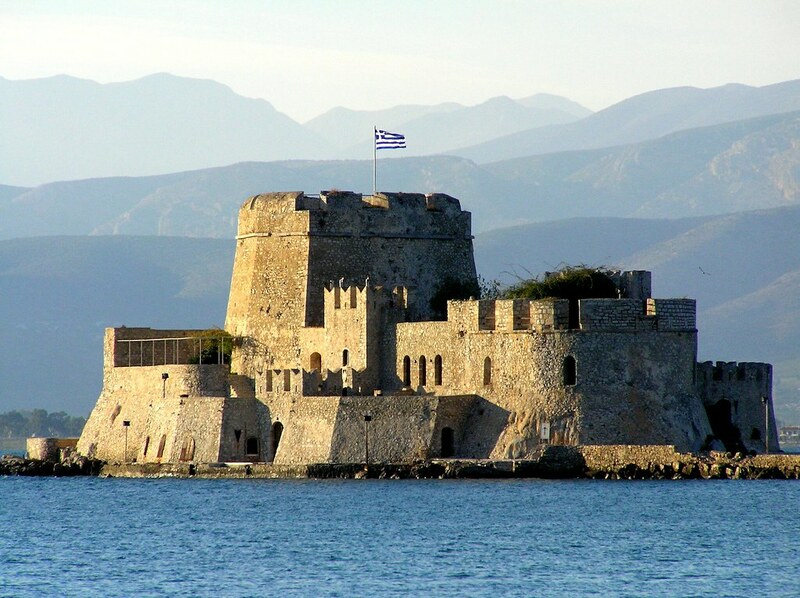 Today, Nafplio is one of the most well-known touristic destinations in Greece, owing to its beauty and glorious history. Thanks to its proximity to Athens, it is an especially popular weekend destination, and its romantic atmosphere makes it one of the preferred places among young couples for romantic breaks. the festivities for the anniversary of Nafplio's liberation from the Turks by Staikos Staikopoulos (November 30, 1822), which take place in November and include among others a footrace called "Palamideios Dromos"
The blue markers shows the location of various accommodations in Nafplion. The letter in the marker describes the accommodation types: H for Hotel, A for Apartment, R for Resort, B for Bed & Breakfast and O for Other (e.g. pension, villa). Click on the blue marker for more information on the accommodation.